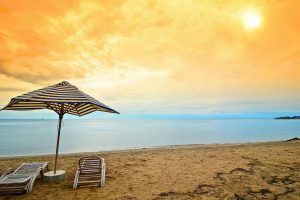 From some of the world’s most wonderful wildlife to a particularly progressive capital, Rwanda Holiday Destinations are diverse and different from most African holiday destinations and ought to be on your bucket list. What’s more, now that RwandAir flies direct from many western cities, it’s never been more accessible or affordable. 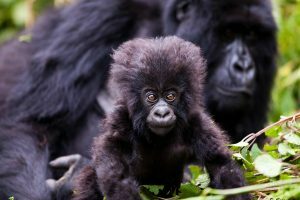 Rwanda’s top attraction – and currently the reason for much of the country’s tourism – is its population of mountain gorillas. It’s one of only three countries in the world where you can still find the gentle ginats in the wild, and the leader when it comes to their conservation. 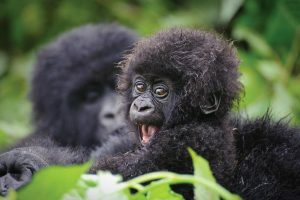 On a trek in the Volcanoes National Park, not far from Kigali City, tourists are led by trained safari guides through the forest in search of mountain gorillas, and can spend a whole hour up close and personal with them once they find them – close enough to see the glints in their eyes. Off Road Safaris specialises in creating holidays to a wide range of destinations, which are 100% tailored to you. 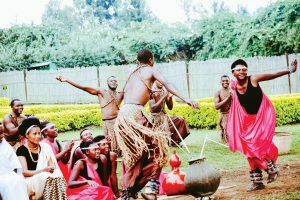 Our top picked Rwanda Holiday Destinations for your interest. Rwanda has more than one primate to offer. 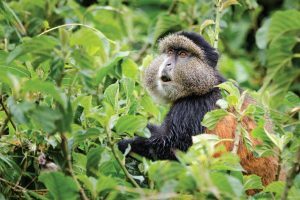 A trek through mountainous Nyungwe Forest will bring you into close contact with some of its 400-500 chimpanzees, easily identifiable in the distance from their loud pants and hoots. Roughly an hour’s trek will precede an hour with the cute primates, during which time you’re likely to see a lot of playful interaction, young chimps swinging between vines and adults feeding in high trees. Rwanda’s landscapes are almost as awe-inspiring as the wildlife that lives within them. The Virunga mountain range is a chain of volcanoes that runs along the north of Rwanda, the south-west of Uganda and a stretch of the eastern Democratic Republic of Congo. Activities on the Rwandan side include many different climbs and hikes to suit all abilities, with the ultimate being a trip up Mount Muhabura. Its far from easy, and takes around five hours to reach the top but there is a special reward when you get there — you can swim across a crater lake and end up in Uganda. Rwanda had to virtually rebuild its communities from scratch following a brutal period of genocide in 1994, but the way its capital city has developed since then is remarkable. It is now home to Kigali Convention Centre, which recently hosted the African Union summit, and is rapidly building up both a financial district and a restaurant scene. It’s not city break territory just yet, but it is an impressive place to stop off on your way to and from the airport. If you’ve tracked both gorillas and chimps and are after another animal adventure, then Rwanda delivers once again. Akagera National Park, which hugs the country’s eastern border with Tanzania, is one of Africa’s oldest national parks and covers about 1,120km². It is home to zebras, giraffes, elephants, lions, hippos and crocodiles along with hundreds of bird species. While the park is smaller than many in East Africa, it makes up for it by being far less busy meaning you’re more likely to find yourself surrounded by wildlife than other safari jeeps. If you’re after a high-octane experience, then Nyungwe Forest delivers. Here you can take a walk through the forest’s leafy canopies on a 200-metre long, 50-metre high walkway that will bring you face-to-face with blue monkeys, black-and-white colobus monkeys and red-tailed monkeys. It’s surprising, but it’s true. By several metrics, Rwanda could be considered the most gender-equal country in the world, ahead of Sweden and Finland and well in front of the UK, which trails at below 50th. A record 64 per cent of its MPs are women, the highest percentage of any country. 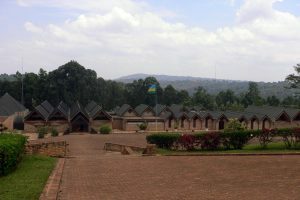 A genocide memorial might not sound like the kind of attraction that would make the top of a must-visit list of Rwanda holiday destinations, but Kigali’s museum dedicated to remembering the killing of 250,000 Tutsi in 1994 is an essential when in Rwanda – and it’s located handily close to the airport. Not only is it appropriate to engage with such a significant and recent part of the country’s history, but the memorial also explores genocides more widely, aiming to educate visitors as to how they start and what causes them, with a view to preventing them happening in future. It’s moving but fascinating stuff. These skewers of barbecued goat, beef, chicken, pork or fish are a staple in Rwanda. Whether it’s at a Kigali restaurant, a roadside stall or a safari lodge it’s hard to beat a few skewers of the smoky grilled meat served with roast potatoes and washed down with a Primus beer. Finally, there’s never been a better time to visit Rwanda because it is now easier – and cheaper – than ever before thanks to direct flights to Kigali with the country’s national airline, Rwandair. Enquire by sending an email.